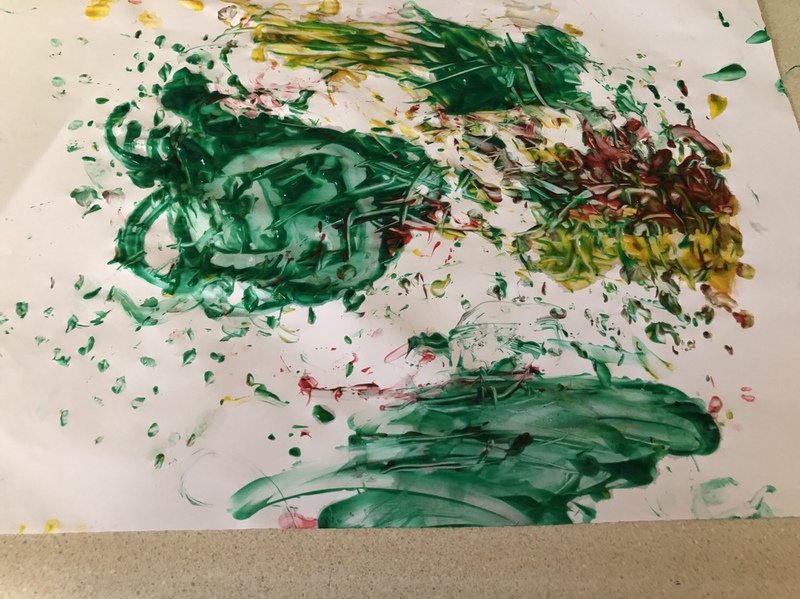 Here is another simple painting activity. All you need are some paints, paper and pinecones. Rosebud and I went over to the playground yesterday where she found a pinecone. I immediately thought we could use it for a painting activity. We were trying to stamp with the pinecone because using it like a brush was too hard on the paper. As the title says, the process is more important than the product with this activity. My only suggestion would be to have more paints and more pinecones. 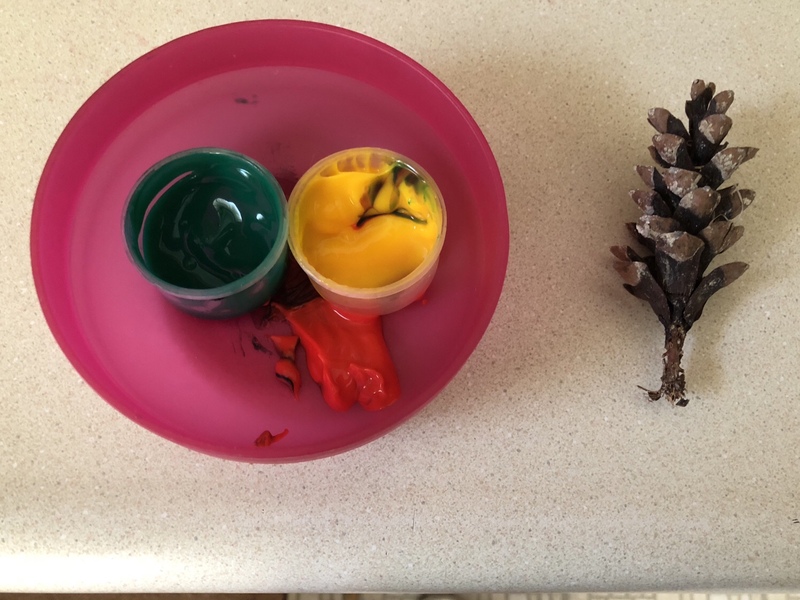 I would put each color of paint in a container large enough to dip the entire pinecone so it could be stamped or rolled across the paper. I’d also suggest having one pinecone for each color of paint. I didn’t think of this until we had already gotten started. Eventually I had to just dump the paints on the paper because trying to dip the pinecone wasn’t working. I had little containers of paint from the dollar store. Although this didn’t work as expected, I’m interested in trying to paint with other natural items to see what we come up with.